Traditionally, accounting has been treated as one of the dull and unexciting aspects of a business. However, as the business grows in size and influence, the accounting department arguably becomes the most important component in business success. They serve with ins and outs of how the organization operates and acquainted with the organization’s current and projected financial status. Therefore, it is critically important for the financial health of an organization to provide the accounting team with the tools they need in order to effectively monitor these factors. Though there are many accounting software in the market capable of providing the features and reporting functions accountants need, Tally has been running as the foremost choice among the mass from last decades. Tally serves as a complete Accounting Software, with an excellent grip in accounting related features. Tally has many more core features in accounting which are truly commendable that a business requires. Therefore it is known more for accounting rather than any other of its features. But today, accounting is only one among an integral part of a business unit. There are many other segments that truly defines the business and its growth. There emerged a shift of transformation in the working culture with the advent of technologies. The organizations of today, have transformed from traditional business management practices to computer-aided solutions. And each business organizations are managed by efficient management software incorporating different features like Human Resource, Customer Management, Inventory and Warehouse Management along with Accounting management. While large business organizations widely deployed ERP (Enterprise Resource Planning) software for integrated management of the business, SME (Small and Medium Enterprises) type organizations are still clutching on the individual software like Tally that manages only Accounting sections of the business. They remain illiterate to the potentialities of ERPs like Odoo which can make tremendous changes in their business portfolios. Maybe, that can be the reason why such organizations lagged in the long runs. The changes that an ERP software can bring to any organization is enormous and widely discussed. While we consider our business as a whole, it is obvious that independent management software alone can’t push the business forward. Adopting an effective ERP software is need of the hour for any business irrespective of its size. There comes the role of an open source ERP like Odoo, which an integrated management solution tool specifically looking into each and every business segments from Human Resource to Customer Relations, Accounting to Point Of Sale. The ideal solution for these businesses would be to choose an accounting software that can be integrated with their current commercial solution. This will save a great deal of time and resources for the organization and Odoo helps to the great extent. To understand in deep the potentialities and significance of choosing Odoo over Tally ERP, let us look into their features and drawbacks. Tally, as known, it perfectly fits into the Indian Accounting context. Any individual possessing basic knowledge of accounting and tally applications can easily set up and use the software. But at the same time, complex architecture of Tally makes navigation difficult for those who do not hold basic knowledge of Tally software and its working patterns. This makes Tally a non-friendly software among large community basis. But if we take this scenario in Odoo, Odoo accounting is too simple to handle even by a non-commerce. The user- friendly interface sets the tasks in a low tone that anybody with minimal knowledge of English can perform the task with ease. Odoo, the access rights are super flexible comparing to Tally, and default configurations are already set up for accountants and advisers. With Odoo you can simply configure and manage any inventory structure. There are many customized plugins in Odoo, to meet any of the new user needs. Coming to Inventory Management level, Odoo beats Tally by tracking the entire product movement in your inventory. Odoo helps in analyzing the seasonal variation in stocks and plans. Managing of Product variance in Odoo makes it part excellent from Tally. Suppose your product list contains many variants of a single product. In tally, you have to add each one of them as a different product in your product list. 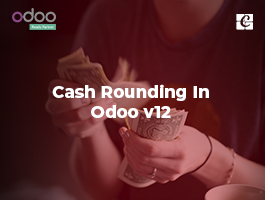 But with Odoo, you can use the Product Variance feature and simply configure many variants of the same product under them. In addition, the feature like Product Kit in Odoo enables you to create a list containing components of a single product (E.g. All Components of a Bicycle). So, when you sell the Product Kit, all the components in the list will be reduced from inventory managing your communication. You don’t need to adjust the individual components in the inventory. We very well know that today, just by creating Sale/Purchase invoices and keeping their respective accounts alone won’t improve the business. A strong customer base only results in the better growth and success. Every Company’s success is underlined by customer satisfaction and managing the potential customers are crucial and pivotal. One of the drawbacks that we can quote on Tally is this. Tally being confined only to accounting needs, the software misses several other features that contribute to the business success. 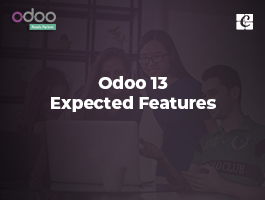 In contrast, following are some of the features Odoo provides in its customer management module which Tally nowhere belongs. 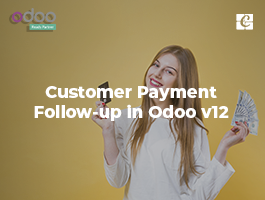 In Odoo, it is easy to Track your every customer from Leads to Sales, Analyzing their shopping nature, Knowing the potential and creditworthiness of customers via in-depth analysis, knowing the favorable suppliers by analyzing the past. In short, this attribute in Odoo helps in understanding the leads and increase business volume. Do you have multiple units for a single company? Do you want them to work as the separate entity within? Here we go with Odoo, with plugins helping users to make the different branch of a single company with the multi-branch concept. Odoo has added branch user/manager roles inside the module ensuring the access rights. Here Branch user can access records of its specific branch and the Admin User can see records of all other Branches. Branch functionality is added to Sale Order, Purchase Order, Invoice, Warehouse, and Point Of Sale in Odoo. Restrictions like the use of proprietary formats often tie you to a supplier from the minute you decide to use their services. Such lock-in strategy makes it nearly impossible to choose another supplier without substantial switching costs. Also, nothing prevents the supplier from increasing their prices after 1 or 2 years. 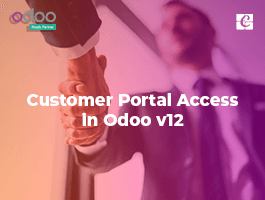 With Open ERP like Odoo, you will not fall into such inflexible situation of vendor lock-in while using the Odoo products. Whereas Tally, due to lack of standardization, the users often suffer from vendor lock-in problems and need to depend upon the mercy of assistance from authorized Tally service partners. Last but not least, Tally is a package software, not an ERP. Therefore one has to compromise with what the software provides with. The scope of further customization is very limited in Tally. Whereas Odoo, being an open source integrated ERP software serves with much potentialities of latter customizations according to the needs. Odoo ERP is supported by a strong group of community members around the globe and they provide customized plugins to any of the new user needs. 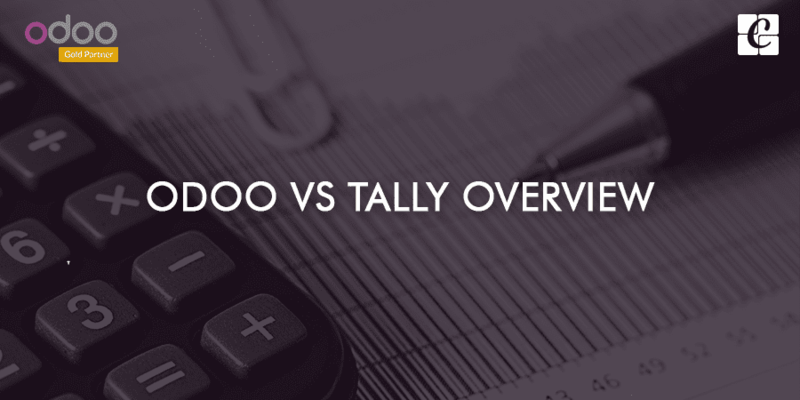 In short, Odoo’s growth rate is tremendous comparing to Tally Accounting software. Odoo keeps abreast of technologies, developing newer modules daily. There are more than 15,000 custom modules available in Odoo community for assistance and 300+ modules contributions are developed in an average on daily basis, serving the room for further betterment and performances in Odoo software. Whereas, upgrading to Tally accounting software is not frequently met, leaving the users in a state of dismay. There are many things which make Odoo a unique product than any other Accounting software. We can see many features which Odoo alone have. For example, Quick reconciliation, Automatic Sync, Batch Send, Third party follow-up, Payment automation, Alerts, and Expenses etc. Since all accounting transactions are associated with customers or suppliers, you get reports to perform analysis per customer/supplier such as the customer statement, revenues per customers, aged receivable/payable etc. 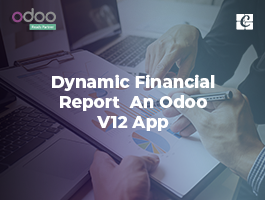 Another exemplary option available in Odoo is its business intelligence engine which will allow you to navigate through company data in more organized manner. The graphs and diagrams plotted by BI engine is indeed a useful tool in decision making. Of course, Odoo is mobile too. You can use it to check your accounts on the go.